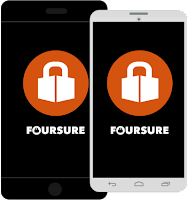 FourSure Trust App Shifts Power from the Cloud to the Crowd -- Peer-to-peer authentication with just a tap of your mobile. LiveEnsure, Inc., the global innovator in real-time user authentication, has announced the release of FourSure, a peer-to-peer trust solution that takes the power of multi-factor security and puts it in the hands of the user. As a simple app for iOS and Android, FourSure allows users to verify anyone and control anything they share across any social, storage or messaging network with just a tap of their mobile. FourSure leverages existing social and communication networks and simply adds peer-driven authentication and content control. Users can set who, how, where and when their shares, links, payments, emails, texts and chats can be accessed, across a number of powerful authentication factors like location, behavior, time, secrets, wearables and biometrics. In addition, FourSure gives users real-time management over that content, even after it has left their device. "The recent hacks at Ashley Madison, iCloud, Sony and others prove that users have lost control of their digital life. Security should be about protecting ourselves from others, not just the websites. There were no user-centric tools to secure content across channels and you didn't really know who was sitting on the other end of a social or messaging account. You simply had take the cloud's word for it. Well, now you will have that power and more, with just a tap of your mobile," said Christian Hessler, founder and CEO. "We created FourSure to give the crowd back control over their cloud." 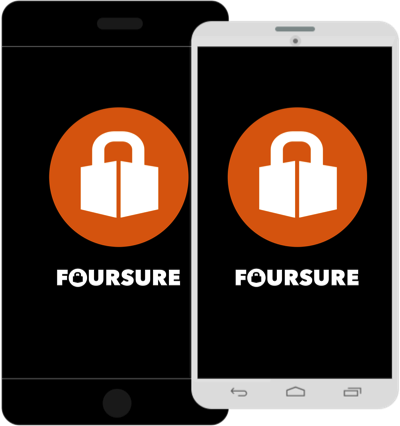 The FourSure app is powered by patented authentication technology through a seamless tap-driven interaction that is invisible to the messaging, storage and social networks. FourSure will be available in app stores worldwide in September. The company also offers a developer API for sites and apps wanting to leverage the technology for their own security and content. To get the FourSure app for iOS and Android, visit www.foursure.com. 0 comments on "FourSure app for iOS and Android allows users to verify anyone and control anything they share across any social, storage or messaging network with just a tap of their mobile"